You deserve some credit for rescuing records! For every 20 records indexed in your Kindex archive, you’ll get a $5 credit toward your next month’s subscription. That means your Kindex archive could be FREE! Credits do not accumulate or roll over. 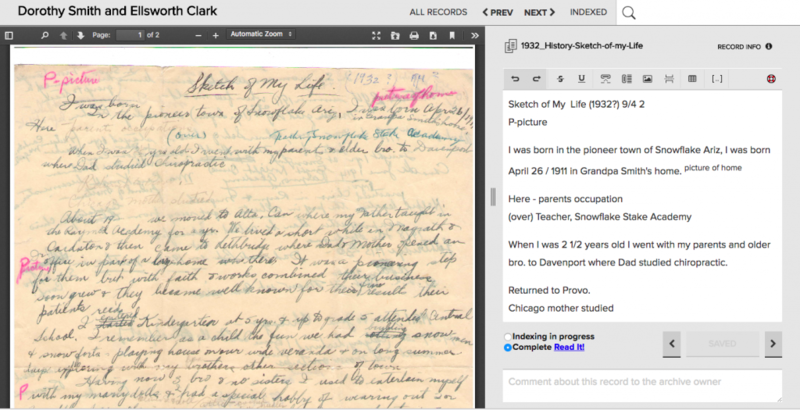 A “record” in Kindex is an individual JPG, PNG, or PDF file in your Kindex archive. Some records, like photos, are single images. Other records can be one or more pages, depending on how they are formatted before they are added to Kindex. For example, a record can be a single photograph, a single page from a diary, or a multiple-page letter or journal. What counts as an indexed record? A record is counted as “indexed” when a user completes a description or transcription on any single record. How do I complete a transcription? Do edits to completed records count? No; while any indexed record may be edited, additional edits do not count toward your indexing total. How do I know if I’ve received my $5 credit? Archive owners can check their indexing and credit status in the Manage Archive tool. Who is eligible to participate in Kindex Rewards? Owners of Kindex Cloud or Closet Archives are eligible for Kindex Rewards. Archive owners with yearly subscriptions on the Unlimited + Collaborative plan will be eligible to receive rewards after their plan renews to a Cloud or Closet plan. Archive owners with Cloud or Closet plans are automatically eligible for Kindex Rewards. Can other Kindex users help me earn rewards? Yes! Indexed records are counted by archive, not by user. 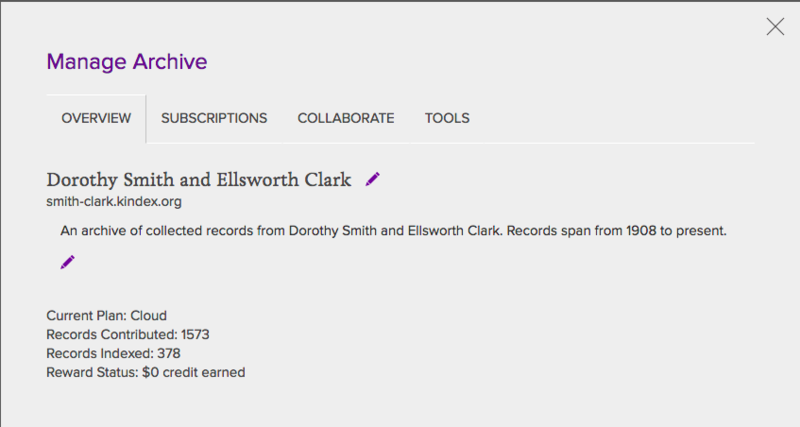 So any records indexed in your archive, whether they are indexed by you or a Collaborator, counts toward your indexing total. Click on a plan below to get started.